To me the Kopili really seemed to be the river of dreams. 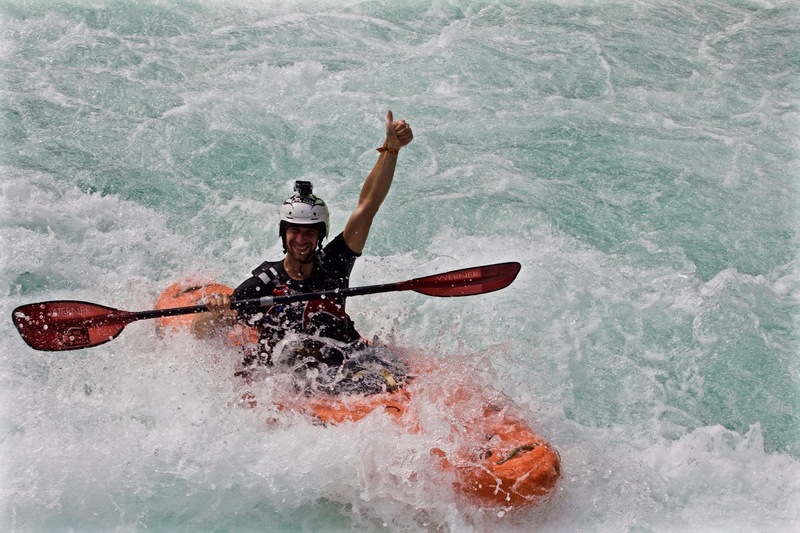 It has a perfect combination of whitewater that is big, challenging and serious with great moves coupled with large pools between most of the rapids, minimal easy portages and plenty of good places to scout. The water is warm and crystal clear and, although fairly remote, walking out is almost always an option. 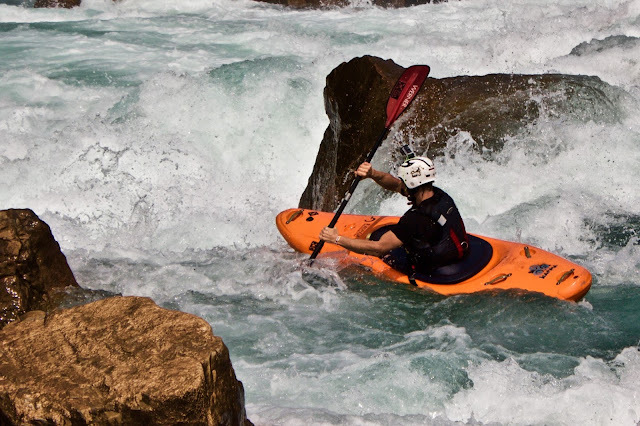 The scenery is great, if not quite a stunning as the Kynshi, and the white water rarely drops below grade 4. My first run of the Kopili came a few days after Will and I took of the Khri. As we had been warned, Shillong, the town we used as a base, eats days. However the days we lost were some of the most enjoyable I had. In the spirit of a trip that was vibrant and varied as well as random, I spent most of the day letting Joe sort out our logistics whilst chilling out at the Laloo household and enjoying the company of the many interesting people who visited. The logistics were challenging to say the least. Our ambitious plan was to go to the NH7 Weekender Festival to see the Wailers play (I did warn you it was random) and then to immediately drive the 8 hours overnight to the Kopili put in. So by the time 5pm came around I piled into a jeep with none of the people I was going to the Kopili with, none of my gear and no phone. What I did have was rum, great company in the form of Joe, Beth, Gus and Banjop. Just in case it all went wrong I had a note with the phone numbers of anyone Joe thought might help me get back to the right place on one side and instructions on where to return me to on the other, just in case! What followed was one of the best nights I have ever had and one of the worst mornings. Although Rowan certainly felt worse. Some how the plan worked and we arrived at the put in just after sunrise. Having driven through the night the drivers seemed a bit miffed when we promptly fell asleep for several hours before finally rousing Rowan and gently cajoling him on to the river. 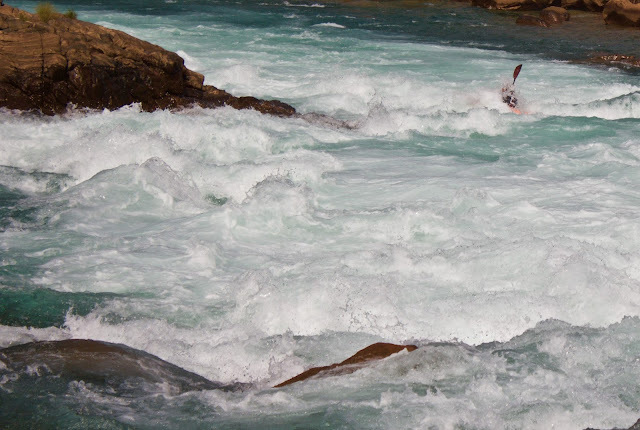 After a short flat section we dropped into the first rapid, wake up call. Somehow the river starts with a real big volume feel and we spent most of the first day scouting and running big wave trains and boofing big holes. There were a good few surfs being had for sure! Sometime in the mid afternoon our hangovers got the better of us and we decided to call it a day. 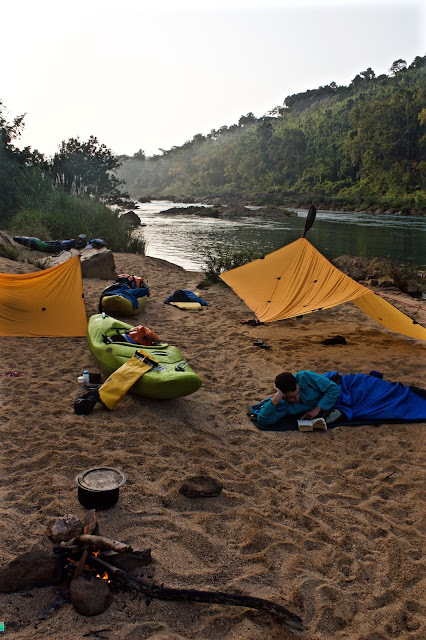 Initially I couldn't understand why Kadox was so insistent that we sleep on a sandy beech however it soon became apparent that in true No Pasa Nada style he had brought a hammock and not a roll mat so the prospect of sleeping on rocks was not an appealing one. Day 2 saw the style of the river change almost constantly. 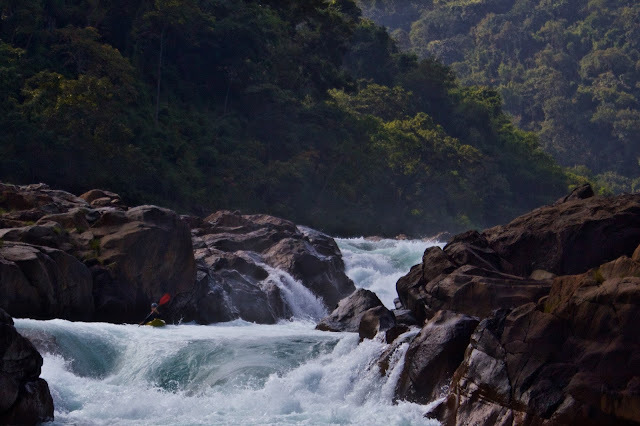 As the river channelized we experienced huge boulder gardens, bedrock drops, creek lines and as if conscious of the few styles it had thus far missed out the final two rapids are a perfect 20ft waterfall and a big slide. There is even a big crowd to amaze at the water fall! Kadox gives the Kopili the thumbs up! After the Kopili we headed back to town to regroup for a mass decent of the Kynshi. However I loved the Kopili so much I had to come back and I ended my trip with four consecutive day laps. The fastest time we clocked was four and a half hours. Not bad for 27km of quality river. Thanks to Rowan James for his photos! All content copyright. Picture Window theme. Powered by Blogger.